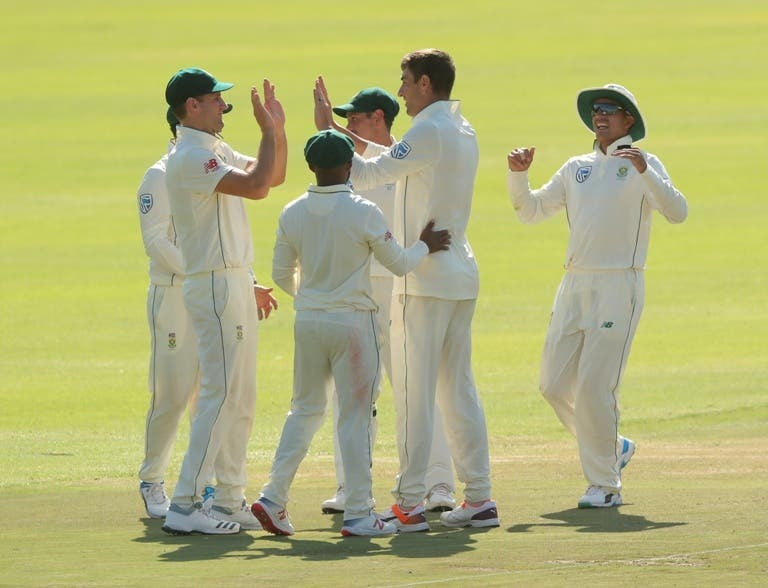 JOHANNESBURG – Fiery fast bowler Duanne Olivier took key early wickets as South Africa wrapped up a clean sweep of their series against Pakistan with victory by 107 runs on the fourth day of the third and final test on Monday. Pakistan resumed their second innings needing a further 228 for victory with seven wickets in hand, but their chances faded when Olivier removed the dangerous Babar Azam (21) and captain Sarfraz Ahmed (0) in consecutive balls. The home side chipped away at the wickets to bowl the visitors out for 273, with Olivier (3-74) and Kagiso Rabada (3-75) the pick of a hostile South African attack that has been key to the team’s success. The teams begin a five-match one-day international series on Saturday with the first game in Port Elizabeth. They will also play three Twenty20 matches.